Complete with ‘Go Baby Go’ button on the shifter. 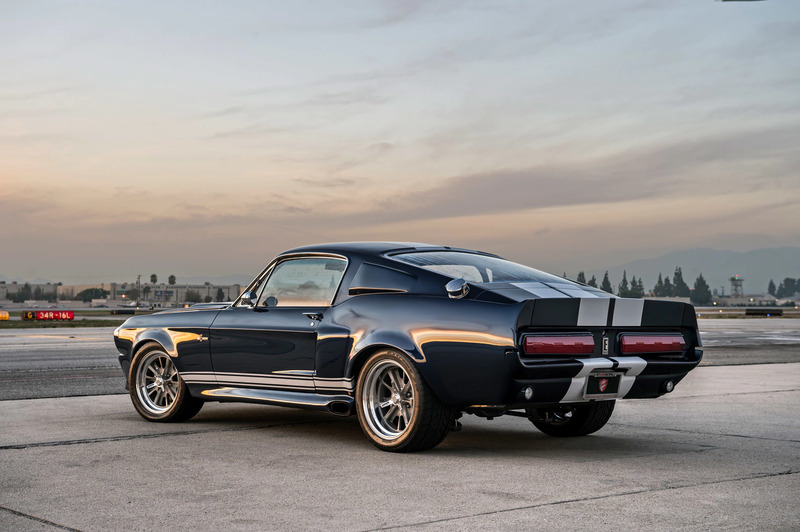 A shop in Los Angeles, California called Fusion Motor Company has acquired the exclusive license to make official Eleanor Ford Mustangs. 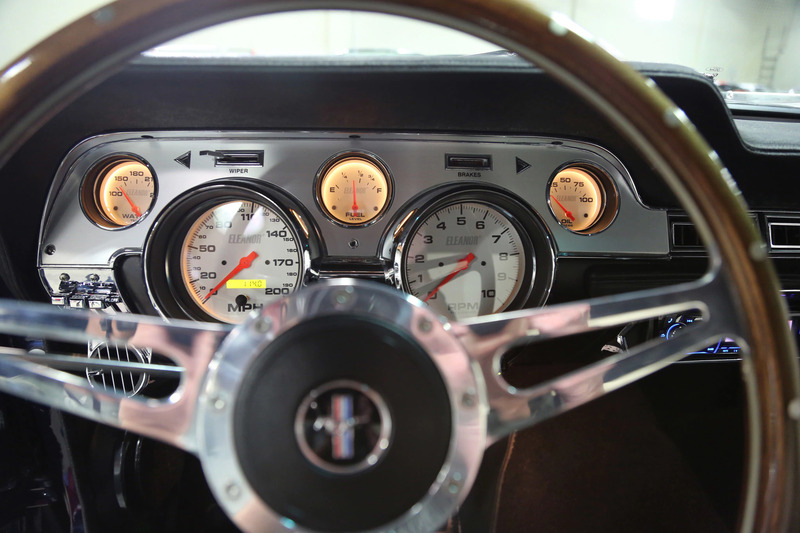 For those of you unfamiliar with Eleanor, it’s the name given to the 1973 Ford Mustang in the 1974 film Gone in 60 Seconds by filmmaker H.B. “Toby” Halicki and the 1967 Ford Shelby GT500 in the 2000 remake starring Nicholas Cage. The car being reproduced by Fusion Motor Company is the Nicholas Cage version. 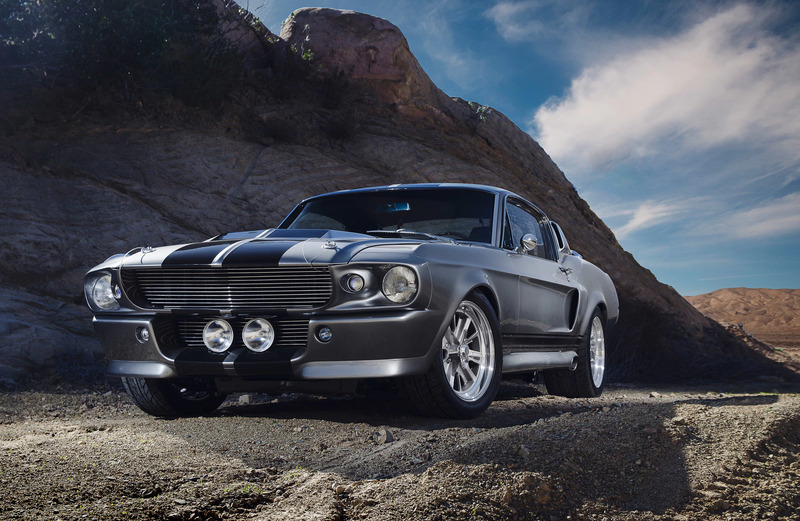 Which of the two films is better is debatable, but the gray ‘67 Shelby Mustang in the 2000 version is much cooler than the mustard yellow Eleanor from the original movie. 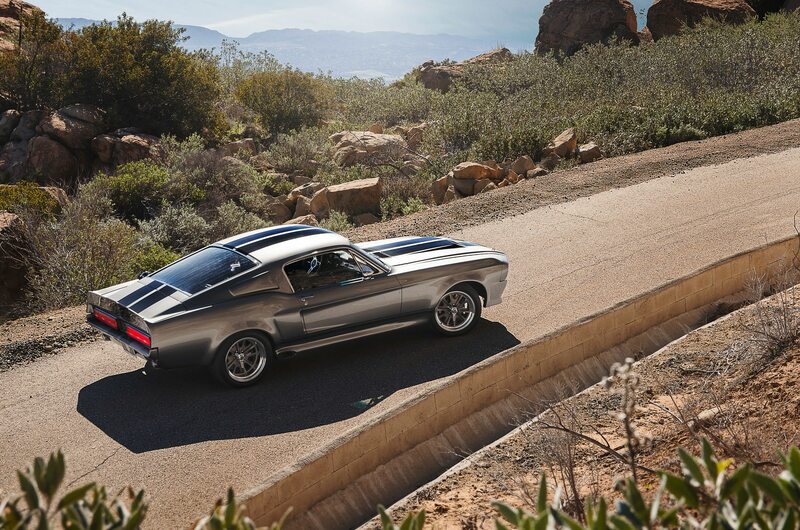 The version that Fusion Motor Company makes is a made-to-order restomod that takes six months to build. It starts out as a 1967 or 1968 Mustang Fastback that’s stripped out and placed on a new frame. Fusion makes several mods to make it look like a Shelby GT500. There are five Roush V-8 engines available (in order of cost from lowest to highest); a 430-horsepower 5.0-liter Coyote, a 480-horsepower 427 SRXE, a 600-horsepower supercharged 5.0-liter Coyote, a 560-horsepower 427 IRN 8-Stack, and finally, a 750-horsepower supercharged 427. 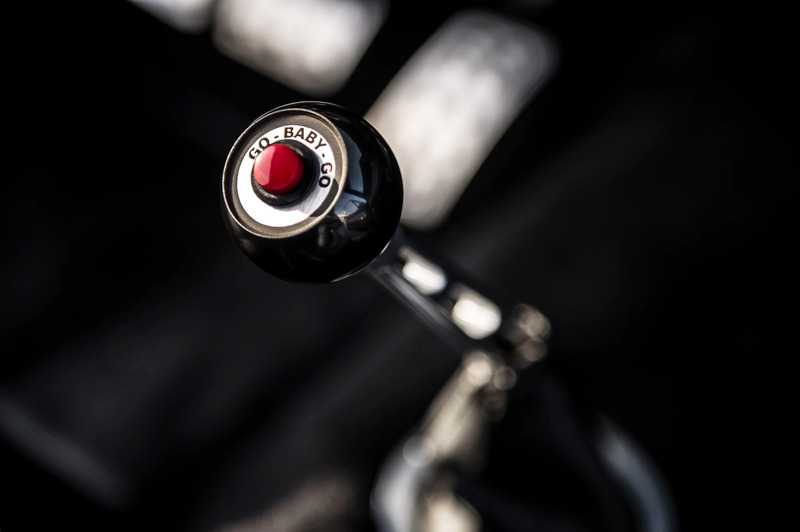 You can get a five- or six-speed manual transmission or a six-speed automatic if you must. Power is delivered to a Ford nine-inch rear end with posi traction. Gearing depends on which engine and transmission you choose. Standard features include coilover front suspension, Wilwood six-piston disc brakes, carbon fiber spoilers and splitters (carbon fiber hood and trunk lid are optional), stainless steel exhaust and headers, a 31-inch aluminum radiator, and the red “Go Baby Go” nitrous button on the shifter like the one in the movie. You also get modern creature comforts like air conditioning, power locks, and Bluetooth. 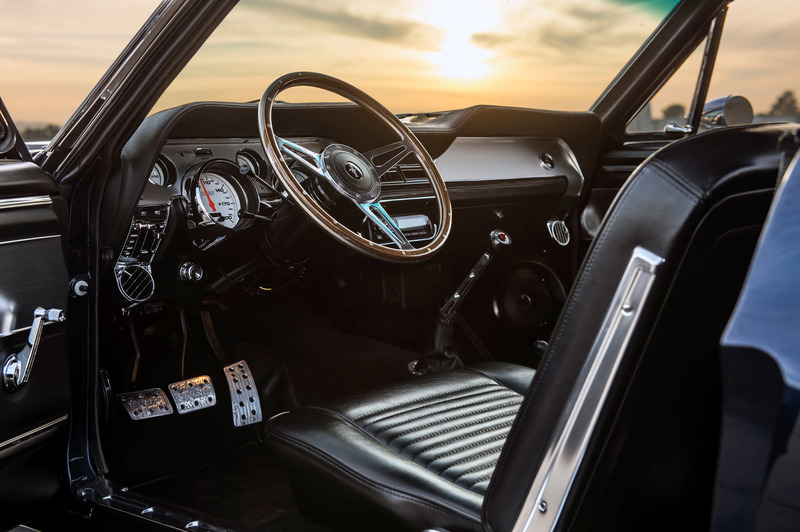 The starting price for your own official Eleanor Mustang is $189,000 and the price can climb to almost $300,000, which might sound like a lot for what, at the end of the day, is a fake ‘67 Shelby GT500. But it’s not a bad price when you consider the fact that last time one of the real Eleanors from the 2000 film was sold, it went for $1 million in 2013. For more details on, check out the full build sheet for the Fusion Motor Company Eleanor Mustang.